I love quick meals. Especially ones that have lots of flavour. I use the Schatz packet mixes quite a bit. It provides lots of flavour, meal ideas but is also quick to assemble. 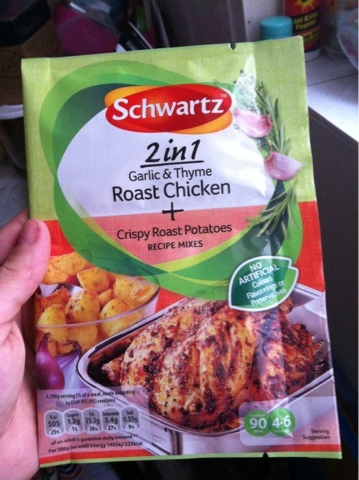 I was sent one of the new 2in1 packet mixes - which compromises of two seasoning mixes for different things. 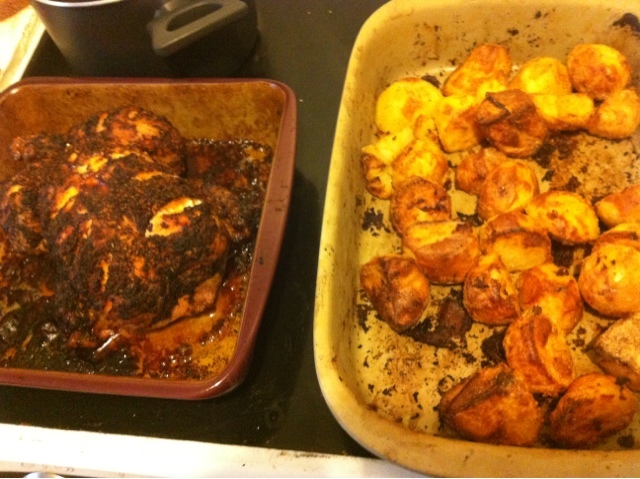 We tried the Garlic & Thyme Roast chicken mix and the Crispy roast potatoes mix. Others in the range include chicken tikka and a cooling raita or crunchy chicken bites and a BBQ sauce. 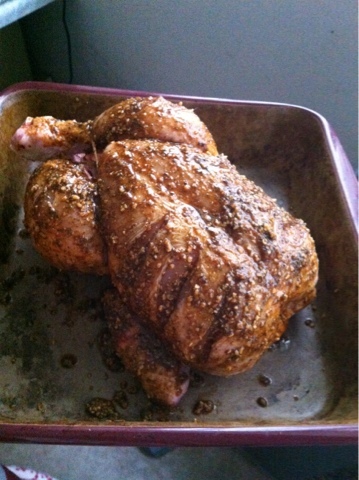 Heres my chicken ready for the oven - it provided lots of seasoning to ensure the whole chicken was coated in flavour. You roasted the chicken covered foil for the first part of cooking before removing the foil to get a crunchy coating on the chicken. It was really quick to assemble and all I added was some broccoli and carrots to it to make a yummy meal. This post is an entry for Britmums 'What's for Dinner Tonight?' sponsored by Schwartz. Sign up to get your own free sample here.